Since May 2017, the “Young Professionals & TecAlliance” working group has been bringing together young employees from TecAlliance, its shareholders and data providers. The working group meets regularly to discuss current trends, innovations and future challenges. Because the basic conditions, technologies, processes and players in the international automotive aftermarket are developing ever faster and becoming ever more diverse, it is now largely up to young employees to meet these constant changes with innovative ideas and products. The TecAlliance working group, which is led by Maik Neumann, Junior Solution Manager at TecAlliance, promotes the joy of experimentation and creative exchange among the participants. 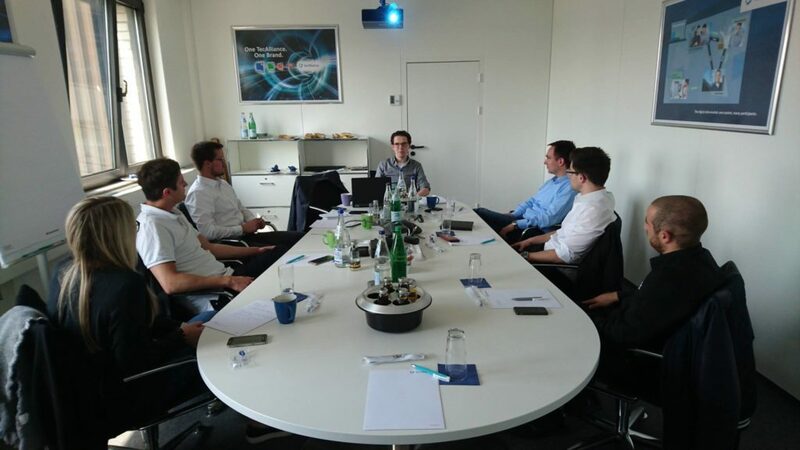 So far, three meetings have taken place at the TecAlliance locations in Cologne and Ismaning, Germany, and many topics have already been worked on. One of the participants in “Young Professionals & TecAlliance” is Alexander Schanz, Application Data Controller at TRW/ZF. “The group of young staff members at TecAlliance brings together a lot of creative and constructive ideas from young people. One of the focuses of our first meeting was the optimisation of the online catalogue. Through collaboration and the exchange of ideas among young minds from several companies, the best possible solutions can be compiled and developed,” says Schanz. His colleague Simone Dietz, Product Controller Braking at TRW/ZF, is also convinced of the immense potential of the working group: “We get to know each other better at each meeting so that we can let our creativity flow freely. We are currently working on the optimisation of the online catalogue, which will bring great benefits to all users. In addition, thanks to these workshops, we, the new generation of dedicated employees from the ranks of TecAlliance shareholders, can gain detailed insight into the world of catalogue data and better identify with it,” says Dietz, summarising her impressions. The work results are intensified and pursued further in concrete projects. Approximately four regular working meetings per year are planned. Interested junior employees from industry and especially from traders are welcome to sign up to join the working group. The participants of the “Young Professionals & TecAlliance” work group at their first meeting in Cologne.